Burns often leave raised, discolored scars. If you've suffered a burn on a noticeable area, such as your face, arms or legs, you might not be able to hide the scars completely. However, there are special, color-correcting cosmetics that can make burn scars less noticeable. Compare concealers designed for scars and other permanent skin imperfections to choose the one that's best for you. 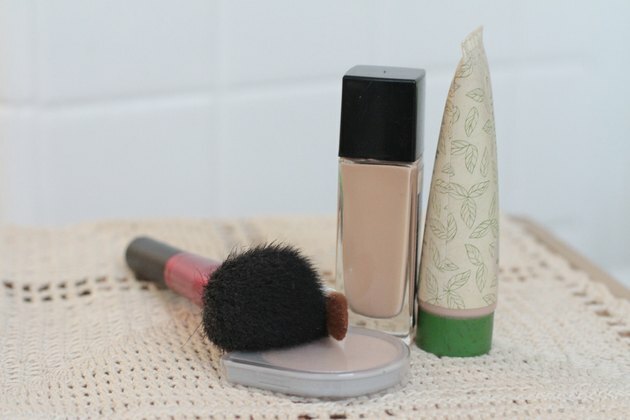 Thicker concealers, in hues close to your natural skin tone, are best for covering burn scars completely. A color corrector might be all you need for smaller burn scars. Choose a color corrector with a light green hue to balance out the red or pink coloring of burn scars. 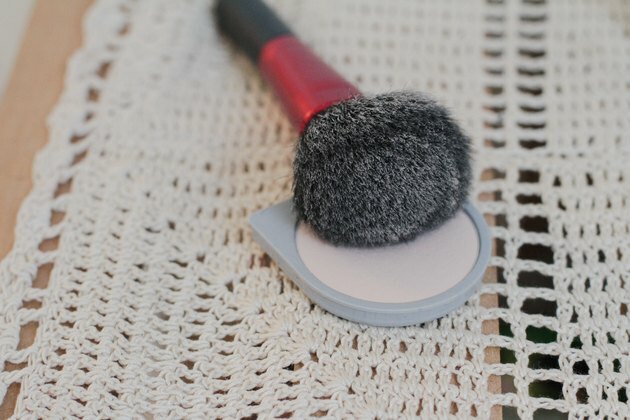 Dab a small bit of concealer over the scar, and use a makeup sponge or a concealer brush to blend it in. 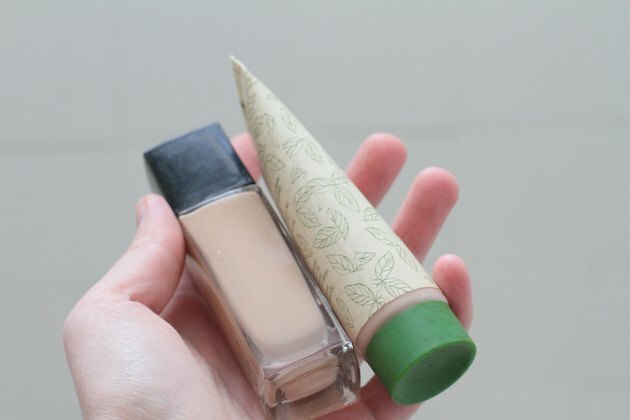 You can use your fingers as well, but you'll usually get better coverage with an applicator. 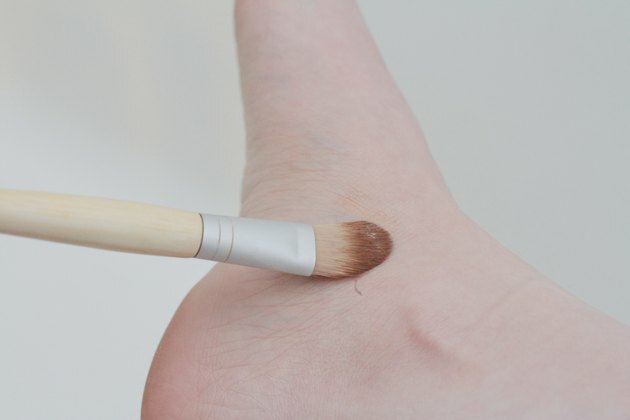 Gently press small amounts of concealer on small areas of the scar at a time. 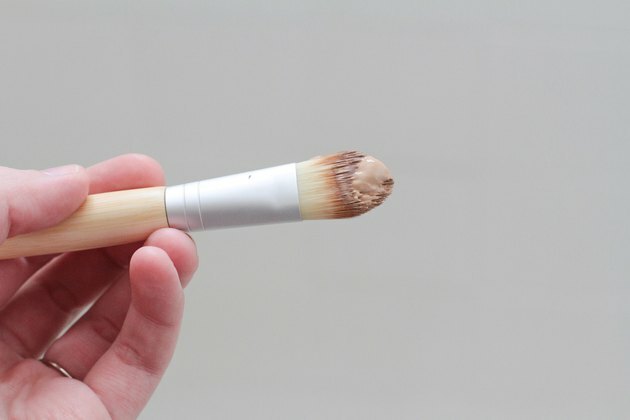 This gives you a more complete coverage than simply smearing concealer over the entire scar. However, be aware that using too much concealer can give your scar a cake-y appearance, which can draw more attention to it. Dust translucent powder over the concealer once you've finished to blend it in with your surrounding skin and make it last longer. If you're trying to cover a burn scar on your face, apply foundation before the concealer for fuller coverage. Never apply cosmetics to a burn that hasn’t fully healed.